Juliana S., a Google AdWords representative, posted a topic in the Google AdWords Help forum named "uncovering quality score." In her post, she shares some of the "less frequently known" facts about the Google AdWords quality score. 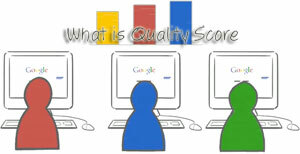 The quality score is a large part on what makes an ad rank in Google's search ad system. You won’t automatically get a high quality score from keyword stuffing. Some things to keep in mind are the following: is the content of your ad prominent on your site and not buried, do you feature original content, and is your business model clear? Only exact match keyword data on Google Search is used to determine a keyword’s quality score. This means clicks happening on phrase or broad match keywords do not factor into QS. The quality rating (1-10) given to keywords is reflective of its performance with all text ads in an ad group. Getting rid of poor performing ads is a good strategy as one low performing ad can lower the overall quality score of a keyword. Quality score of zero impression keywords have no effect on quality score as they have no impression data. Also, we do normalize quality score by position (i.e. we don’t expect CTR to be as high in position 11 versus 2). Lastly, you should keep in mind to there needs to be a statistically significant set of data to calculate quality score. This means one day of terrible or great performance will not necessarily ruin or help your QS. Previous story: Can You Redirect A Google Penalty? Probably.